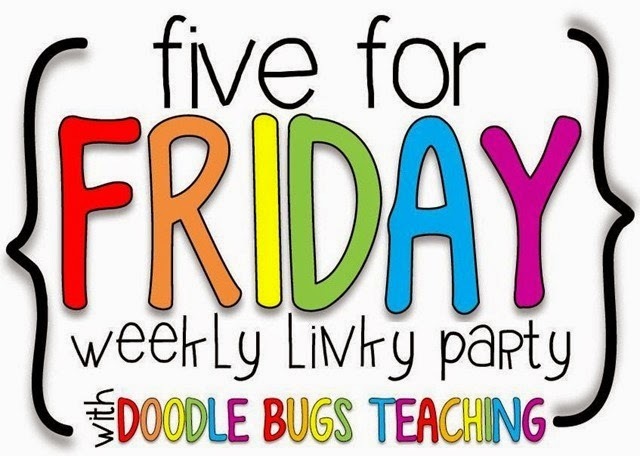 This is my first time linking up with Kacey from Doodle Bugs Teaching for Five for Friday. This week has been dragging on for me so I am looking forward to the weekend! I have been working on finishing up some last minute gifts for my son’s First Grade teacher! She has been great with him this year! He could possibly be consider one of “those kids” that generated the most talked about meme in education this week. Unlike the lady who decided to report the info to admin I will just chuckle and allow his teacher to have a life! Finally posted a new resource this week! Do you use personal spelling dictionaries in your classroom? I have used something similar to this resource throughout the years. It is a great way to help kids to become more independent with their writing. Instead of asking the dreaded question “How do you spell…..?” I just direct them to their spelling dictionary. You can even copy them 2 to a page if you need to conserve space! The weather in Vegas has decided it is summer after all. We normally get our Summer weather in April but this year Mother Nature was kind and gave us a reprieve. I have a feeling we are going to pay for it. Most natives of Vegas hibernate for summer, complain about the power bill, and have a pool or friends with a pool! copy all these pieces at one time! Next week I am linking up with A Dab of Glue Will Do for Winner Wednesday! I am going through my resources to see which item to showcase. If you are not familiar with this new linky/giveaway some amazing TpT sellers create a blog post showing an item from their store and then give buyers an opportunity to win it! I should probably start working on that blog post lol! Cute blog! I am intrigued with the weekly report. How well does that go over with parents…especially when it hasn’t been a good week? I send home a weekly newsletter telling what we have done in each of the subjects. I just worry that the report would make parents mad even though I would love it! I teacher kinder and had one child that was really immature. I contacted the mom several times about it and she just ignored me. It is so frustrating. I used to be so passionate about it but after 16 years of doing this, I have learned that they are the ones that are going to be dealing with it for the next 12 years. Have a good weekend! Thanks Kim! One thing about the weekly reports is that you can share with the parents what the week looked like, whether the parents like it or not the week is what it is. If you keep copies in their individual folders the parents can’t pull the “I never knew, why is this the first I have heard of it.” type of responses we tend to get. My son tends to be on the immature side (homeschooled for Kinder, huge age gap between siblings) and is very much like an only child. He also is ADHD, which caused outbursts in class. I tried to encourage his teacher to be honest with me, ask what I could do at home to correct behavior and such. I think there will always be those parents who don’t recognize issues or don’t know what to do to help. At least with the reports they can see what issues might be repeating and it will open up dialogue for those parents that care.